This is a general review of some 23 recent publications (books, films, and articles) on various aspects of Islamic culture, history and civilisation. The survey concentrates on titles related to three categories: art and architecture, Islamic history and culture and Islam-Europe exchanges in medieval times. A tremendous amount of books, films, articles were published in the last years on various aspects of Islamic culture, history and civilisation. The following survey presents a selected set of titles, with the necessary references and brief characterisation of their contents. The survey concentrates on titles related to three categories: art and architecture, Islamic history and culture and Islam-Europe exchanges in medieval times. The entries are presented briefly in the three sections in the chronological order of their publication. We do not include here publications on Islamic science reviewed constantly in our recent articles on www.muslimheritage.com. An important feature of this scholarly work is that a growing number of scholars tend to challenge the well-known model of the Renaissance as an exclusive and singular moment of genius and invention centered in Italy. According to this familiar standard, the Renaissance signalled both the definitive emergence of European civilization and the irreparable rupture between East and West. Scholars such as Jerry Brotton, Charles Burnett, Anna Contadini, Deborah Howard, Lisa Jardine, Gülru Necipoglu, and Julian Raby, to name a few, have countered this paradigm by viewing the period's achievements in a broader, global context. They pointed to the crucial role of trade in shaping Renaissance identity and by arguing for a more integrated and expansive definition of the Renaissance to include the crucial debt to the multi-faceted knowledge transmitted during several centuries, through the 17th century at least, from Muslim lands. Furthermore, its role in fostering the seeds of the global change that Western Europe knew in modern times, leading to profound revolutions in science, technology, agriculture, industry, etc. - George Michell, editor, Architecture of the Islamic World: Its History and Social Meaning. New York: Thames and Hudson, 1995 (first printed 1978). Paperback: 288 pages. ISBN-10: 500278474 - ISBN-13: 978-0500278475. For the first time in paperback edition, this book is an easy-to-follow, well-illustrated introduction to the diversity of Muslim architecture and the social contexts that give it form and function. From mosques to markets, from citadels to cemeteries, it surveys the entire field of Islamic architecture. Although Islamic buildings may make an immediate visual impact, it can be useful to know something of the society which they serve. The articles endeavour to relate the architecture to the social areas of religion, power structure, commerce and communal life, placing emphasis on function and meaning rather than on style and chronology. The book is illustrated by photographs, drawings and plans that highlight the variety of building type and design. Building materials, techniques, and principles of decoration are also described and explained, and a comprehensive inventory of the key buildings of the Islamic world concludes this study. The book concludes with a comprehensive inventory of the key buildings of the Islamic world - 250 examples divided geographically, each with a brief description, photograph and plan. - Caroline Williams and Gray Henry, Cairo: 1001 Years of Islamic Art and Architecture. Video tape, Fons Vitae, 1999, 100 minutes VHS. Text by Caroline Williams, produced and narrated by Gray Henry. Also available in PAL format, 110 mins. ISBN: 1-887752-23-4. Figure 1: Front cover of the book Cairo: 1001 Years of Islamic Art and Architecture. Contents: Part 1: The Grandeur of Cairo (16 mins). Since its foundation in 969 CE, al-Qahira (Cairo) has never been destroyed by war or by urban displacement. Its growth has been organic and continuous. In the 14th century it was one of the wonders of the medieval world; in the 19th century it was discovered by European Orientalist painters, and today much of the atmosphere and ambiance that made Cairo unique is still apparent. Part 2: The Word, the Vine, and the Star: Spiritual Dimensions of Islamic Art in Cairo (20 mins); spiritual dimensions of Islamic art in a mosque, although there is no representational art visible, surfaces are covered with vibrant decoration based on the Qur'anic word, plant forms and celestial shapes. 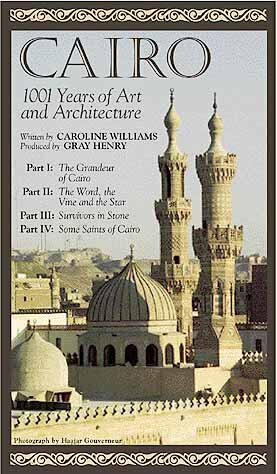 Part 3: Survivors in Stone: 1001 Years of Islamic Architecture in Cairo (51 mins); the unique storehouse of Islamic architecture dating to between the 9th century Mosque of Ahmad ibn Tulun and the 19th century Mosque of Muhammad Ali is found in this segment. Part 4: Some Saints of Cairo (13 mins); looking at the counsels of Ibn Ata'Allah l-Iskandari, (d. 1309). Too often, the Islamic architecture of Cairo which embodies an unbroken tradition from the early days of Islam, is viewed merely in slide form. This video series takes the viewer into the environs and actual space and sound of this great heritage. The overview is accompanied by three sections of extensive historic and artistic detail, suitable for art history, related coursework, and academic research of individual mosques and buildings. Written by Caroline Williams and produced by Gray Henry, this four-part presentation offers an introduction to the art and architecture of a great medieval city. The video works well on both a specific and a general level: On the one hand, it is an excellent survey of the Islamic dimension of Cairo's artistic heritage; on the other, it is —in the 20-minute second part— a superbly lucid introduction to the general principles that underlie all of the arts in Islam. The photography of the monuments is captivating, and the soundtrack gives the video the feel of a walking tour led by expert guides. In the film, certain monuments make several appearances and are viewed from different aspects. This arrangement is intended to give the viewer a better understanding of the structures' forms and functions. - Doris Behrens-Abouseif, Beauty in Arabic Culture. Princeton, NJ: Markus Wiener Publishers, 1999. Hardcover: 220 pages. ISBN-10: 1558761985 - ISBN-13: 978-1558761988. Paperback, 268 pp. ISBN-10: 1-55876-199-3 - ISBN 13: 978-1-55876-199-5. Contents: Introduction. The Religious Approach: The Image of the World - The Koran and the Universe - Ghazâlî, the Sufi Way, and the Symbolism of Light. Secular Beauty and Love: Proportion, Harmony, and the Psychological Factor - Nature and Artifice - Fauna - Human Beauty - Love. Music and Belles Letters: Music - Belles-Letters. The Visual Arts : The Status of the Arts - The Significance of Artistic Beauty - The Decorative Themes - Architecture and Decoration - Unity, Diversity, and Transmission of Knowledge - Regalia and Luxury - Building or Architecture? Conclusion, Notes, Bibliography, Biographical Notes. In this book, Doris Behrens-Abouseif, a specialist of Islamic art and architecture, drawing from Arabic texts authored between the eighth and the 15th centuries, she explores the qualities of esthetic experience in times, places, media and contexts (e.g., religion, academia, daily life) in the classical and post-classical Arab world. Of particular help to the non-specialist reader is that she is no less conversant with Western aesthetics, and accordingly offers occasional useful comparisons. This is a lucid, relatively compact scholarly book, an excellent aid to understanding how the Islamic arts came to take the forms they did, and how their patrons, creators and audiences perceived them. Although the arts were appreciated and promoted throughout the Arabic-Muslim world for centuries, there were no theoretical writings on the arts similar to those in classical Europe. However, as is the case in pre-modern and traditional cultures, the absence of aesthetic theory in Arab culture did not preclude the awareness of the link between beauty and art, beauty for pleasure, and moral beauty. In this analysis of the Arabic discourse on beauty in architecture, decorative arts, music, and literature, Behrens-Abouseif provides a variety of examples of the concepts of beauty in classical Arabic-Muslim culture through the 15th century. She draws on primary Arabic texts to show that artistic work was not always associated only with the metaphysical and the divine. - Jonathan M. Bloom, Early Islamic Art and Architecture. (Series: The Formation of the Classical Islamic World, 23). Aldershot, Hampshire: Ashgate Variorum, 2002; xxxii + 420 pp. + 131 b & w illustrations. ISBN: 0860787052. Contents: Introduction; Notes on Arabic archaeology, Max van Berchem; The genesis of Islamic art and the problem of Mshatta, Ernst Herzfeld; 'Abbasid Lustrewares, Ernst Kühnel; The lawfulness of painting in early Islam, K. A. C. Creswell; The Mosque and the Palace, Jean Sauvaget; Mihrab and 'Anazah: a study in Islamic iconography, George C. Miles; The Greek sources of Islamic scientific illustrations, Kurt Weitzmann; Deacon or drink: some paintings from Samarra re-examined, David Storm Rice; The Umayyad dome of the rock in Jerusalem, Oleg Grabar; Zandaniji identified?, D.G. Shepherd and W. Henning; The throne and banquet hall of Khirbat al-Mafjar, Richard Ettinghausen; La DolceVita in early Islamic Syria: the evidence of later Umayyad palaces, Robert Hillenbrand; The origins of the Mih'rab Mujawwaf: a reinterpretation, Estelle Whelan; Al-Ma'mun's Blue Koran, Jonathan M. Bloom; Index. This volume deals with the formative period of Islamic art (to ca. 950 CE), and the different approaches to studying it. Individual essays deal with architecture, ceramics, coins, textiles, and manuscripts, as well as with such broad questions as the supposed prohibition of images, and the relationships between sacred and secular art. An introductory essay sets each work in context; it is complemented by a bibliography for further reading. - Venetia Porter, Islamic Tiles. New York: Interlink, revised edition, 2004. ISBN-10: 1566565723 - ISBN-13: 978-1566565721. Other Editions include British Museum Press, London, 1st edition 1995, 2nd 1999; Interlink Books, New York, 1995. 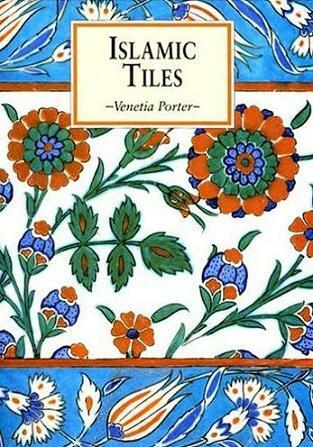 Figure 2: Front cover of the book Venetia Porter, Islamic Tiles. Islamic Tiles is part of these slim, rich, introductory survey books published in Interlink's Eastern Art Series. Each is authored by a curator of the Islamic and Oriental collections at the British Museum. Ceramic tiles have been produced for over a thousand years in the heartlands of the Islamic world, from Iraq in the 9th century to Turkey in the 19th. The wealth of designs and colours used to decorate mosques, shrines and palaces later provided inspiration for European artists and designers. This book first explains the various techniques of the craftsmen and then traces the development of tilework, beginning with pre-Islamic tradition, through the major periods and across a wide geographic area. The book contains superb colour photographs. The informative text that accompanies them make this book a treasure for anyone interested in art and design. - Oleg Grabar, Early Islamic Art, 650-1100. Vol. 1: Constructing the Study of Islamic Art. Aldershot, Hampshire: Ashgate Variorum, 2005. Hardcover: 326 pages, 98 b/w ills. ISBN-10: 0860789217 - ISBN-13: 978-860789215. Figure 3: Front cover of the book Early Islamic Art, 650-1100. This is the first of four volumes bringing together the stellar achievements of a leading Islamic art historian, Oleg Grabar, a professor in Princeton. His long and eventful career has included a lot of fieldwork in the Arab world —in Syria, Iraq and other lands. The experience of these spaces, both man-made and natural, helps define the people who transformed the area and created within it a new culture. Grabar works diligently to fill in the gaps in Islamic archaeology, a field in which circumstances have left a lot of research unpublished. He calls attention to little-known but reliable written sources, such as al-Azraqi's 9th-century historical account of the construction of sacred buildings in Makkah. He explores the mysteries of the remote Umayyad palaces of Syria, and finds they were built in part to take advantage of an older agricultural base that no longer exists in those desert regions. He studies the interactions of Byzantine and early Islamic art, and finds that each benefited in significant ways from the presence of the other. He puzzles over the survival of the magnificent Islamic art of Muslim Spain. Discussing Spanish mudejar art (Muslim-inspired art in a non-Muslim setting), Grabar theorizes about why "this preservation of allegedly Muslim forms took place while Islam itself and those who professed it were persecuted." The book's twenty essays are divided into four sections. Five essays deal with the origins and context of Islamic art; seven with the architecture of Umayyad period; five with Fatimid Egypt and its relationship with the Muslim West; and, finally, three discuss the Muslim East. - Islam: Empire of Faith, a film produced by Robert Gardner (a Gardner Films production in association with PBS and Devillier Donegan Enterprises). Narrated by Ben Kingsley, produced and directed by Robert Gardner. The book, Islam: A Thousand Years of Faith and Power (New Haven: Yale UP, 2001) by Sheila Blair and Jonathan Bloom, was written as a companion to the film series. To learn more about the film, visit: http://www.pbs.org/empires/islam/. The production of Islam: Empire of Faith was a big challenge from the beginning, simply because it covered more than a thousand years of history and culture, and a very large part of the world. But this step beyond the conventional form of historical documentaries is welcome. In particular, its use of the visual techniques usually reserved for fiction motion pictures to tell a story of great scope that took place in pre-photographic history. The film tries to find a way to present images of cultural history — both re-enacted scenes and contemporary scenes of Islamic architecture and city life — in a way that evokes the past, but maintains a sense of authenticity. The team of the film traveled and turned camera sequences in seven different countries, including Syria, Egypt, Palestine, Tunisia, Spain, Turkey and Iran. It was in Iran that the film team used a motion picture company — with a crew of 50 — to produce the costumed re-enactments. Iran's foremost Art Director Majid Mirfakhraei, had to create locations, costumes and props for more than a thousand years of history — from the deserts of 7th century Arabia, to the palaces of the Ottoman empire. The same team of stunt riders had to be made-up and redressed to play Arabian mounted soldiers, Crusader knights, Mongol raiders, Ghazi horsemen and Ottoman cavalry. A full sized, four-story replica of the holiest shrine in the Muslim world (the Kaaba in Saudi Arabia), had to be built in the deserts of Southern Iran and the vanished world of 8th century Baghdad had to be created in the ruins of a 19th century Persian palace. More than 300 costumes were required, as well as a dozen camels and riders, dozens of sheep and goats, an entire Bedouin encampment and the streets of Jerusalem in the 11th century — complete with market stalls and citizens. This extraordinary production design, set in epic landscapes, gives the film a startling sense of scope and provides a remarkable window through which to examine the past. - Jonathan Bloom, Paper Before Print: The History and Impact of Paper in the Islamic World. New Haven: Yale University Press, 2001. 320 pp., 53 b/w + 48 colour illus. ISBN: 9780300089554 - ISBN-10: 0300089554. 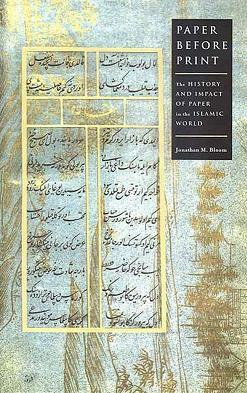 Figure 4: Front cover of the book Paper Before Print: The History and Impact of Paper in the Islamic World. Like the printing press, typewriter, and computer, paper has been a crucial agent for the dissemination of information. This engaging book presents an important new chapter in paper's history: how its use in Islamic lands during the Middle Ages influenced almost every aspect of medieval life. Focusing on the spread of paper from the early 8th century, when Muslims in West Asia acquired Chinese knowledge of paper and papermaking, to five centuries later, when they transmitted this knowledge to Europeans in Spain and Sicily, the book reveals how paper utterly transformed the passing of knowledge and served as a bridge between cultures. Jonathan Bloom traces the earliest history of paper—how it was invented in China over 2,000 years ago, how it entered the Islamic lands of West Asia and North Africa, and how it spread to northern Europe. He explores the impact of paper on the development of writing, books, mathematics, music, art, architecture, and even cooking. And he discusses why Europe was so quick to adopt paper from the Islamic lands and why the Islamic lands were so slow to accept printing in return. Together the beautifully written text and delightful illustrations (of papermaking techniques and the many uses to which paper was put) give new luster and importance to a now-humble material. Jonathan M. Bloom, Norma Jean Calderwood University Professor of Islamic and Asian Art at Boston College, is a renowned specialist of Islamic art and architecture. His book received several prizes and awards. - Walter M. Weiss and Kurt-Michael Westermann, The Bazaar: Markets and Merchants of the Islamic World. London: Thames & Hudson, 1999. Hardcover: 256 pp. ISBN-10: 0500018391 - ISBN-13: 978-0500018392. 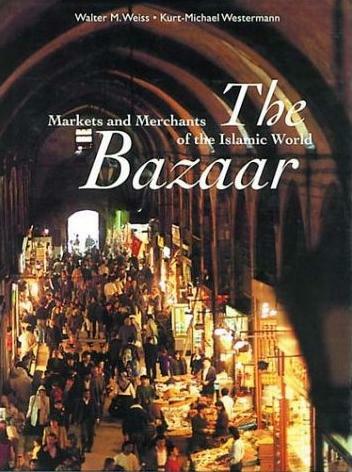 Figure 5: Front cover of the book The Bazaar: Markets and Merchants of the Islamic World. From the Middle Ages to the present day, from Marrakech to Isfahan, few institutions in the Islamic world have so captured the fancy of Western travellers as the colourful, fragrant, joyfully cacophonous bazaar—a word that has come into English from Persian. We find in this book a lush and imaginatively photographed exploration of what is left (and there is much) of the top dozen or so trading emporia of the classical Islamic world. The text illuminates the nuts and bolts of the bazaar-based mercantile system. Walter M. Weiss, a travel writer, and Kurt-Michael Westermann, photographer, combine their talents to produce a stunning tour of the bazaars of the old Islamic cities. Their collaboration gave birth to a unique and beautiful book that will be of use for most collections. The uniquely Islamic bazaar, explains Weiss, is "a city within a city, with its own economy and way of life and a spiritual background from which western society has a great deal to learn." The philosophy of the bazaar affects and is affected by religion, social customs, architecture, and the availability of water. To understand the concept of the bazaar, Weiss begins with a brief history of trade, its existence from earliest times, the effects of the Islamic teachings, the four major trade routes, and a history of the camel and its place in Arab society. A section on shopkeepers and their goods covers history, their techniques, and the effects of modern life on their livelihood. Finally, the section on living bazaars, entitled "the heart of the city" presents the portraits of the finest bazaars. These portraits are accounts of brief visits to 15 of the great bazaars in Cairo, Damascus, Aleppo, Istanbul, Sanaa, Dubai, Kairouan, Tuni,s Marrakesh, Fez, Shiraz, Isfahan, Samarkand, Bukhara and Khiva, the last three being the still alive jewels of Islamic cities in Uzbekistan. - Michael G. Morony, Manufacturing and Labour. (Series: The Formation of the Classical Islamic World, 12). Aldershot, Hampshire: Ashgate Variorum 2003. Hardback 380 pages. ISBN: 0 86078 707 9. Contents: Introduction; The evolution of technology in the medieval Muslim world, G. Wiet, V. Elesséeff and Ph. Wolff; The main industries of the Mediterranean area as reflected in the records of the Cairo Geniza, S. D. Goitein; Introduction to the study of Islamic ceramics, J. Sauvaget; A new interpretation of the economic history of medieval Egypt: the role of the textile industry 254-567/808-1171, G. Frantz-Murphy; The artisan trades among the Arabs, I. Goldziher; Humble professions in Islam, R. Brunschvig; Economic conditions and the Mawali in early Islam, Jamal Judah; Artisans and artisan trade groups in the first centuries of Islam, B. Finster; The working people of the Mediterranean area during the high Middle Ages, S. D. Goitein; Landlord and peasant in early Islam: a critical study, 'Abd al-'Aziz Duri; Agricultural and irrigation labourers in the social and economic life of ‘Iraq during the Ummayad and Abbasid caliphates, Muhammad 'Abdul Jabbar; The 'serfs' of Islamic society under the Abbasid regime, Muhammad 'Abdul Jabbar Beg; Law and economy in Ifriqiya (Tunisia) in the 3rd Islamic century: agriculture and the role of slaves in the country's economy, Mohamed Talbi; Labour partnerships in early Islamic law, Abraham L. Udovitch; Index. This volume, together with its companion volume Production and the Exploitation of Resources, examines the economic basis of the early Islamic world, looking at the organization of extractive and agricultural operations, manufacturing processes, and labour relations. The volume opens with studies of artisanal production that address the issues of specialization, the division of labour, and the proliferation of manufacturing occupations in early Islamic times, looking in particular at ceramic and textile production. The section on labour expands the enquiry to cover the legal and social status of manual labourers and questions of the organization and mobility of labour, wage labour, and labour partnerships. These studies deal with both the manufacturing and agricultural sectors, and also identify the role of slave labour in commerce, domestic service, agriculture and herding. Taken together, this body of work demonstrates a high degree of commercialization in the early Islamic economy, particularly in Iraq, Egypt and Ifriqiya (present Tunisia). - Michael G. Morony, Production and the Exploitation of Resources. (Series: The Formation of the Classical Islamic World). Aldershot, Hampshire: Ashgate Variorum, 2003. Hardcover: 380 pages. ISBN-10: 0860787060 - ISBN-13: 978-0860787068. Contents: Acknowledgements, General Editor's Preface, Introduction. Mining: Sources of Gold and Silver According to al-Hamdani, Preliminary Report on the Third Phase of Ancient Mining Survey Southwestern Province - 1403 A.H. 1983, Patterns of Early Islamic Metallurgy in Oman. Stock Raising: The Edge of Empire: The Archaeology of Pastoral Nomads in the Southern Negev Highlands in Late Antiquity, The Bedouins of Egypt During the First Centuries of the Hijra, The Relationship between Pastoral Nomadism and Agriculture: Northern Syria and the Jazira in the Eleventh Century. Agriculture: Settlement of Highlands and Lowlands in Early Islamic Damghan, Rice in the Middle East in the First Centuries of Islam, Managing a Farm According to the Nabatean Agriculture, The Calendar of Agricultural Tasks According to Al-Falaha al-Nabatiyya, Agriculture in Muslim Spain, A Medieval Green Revolution: New Crops and Farming Techniques in the Early Islamic World. Irrigation: Sassanian and Early Islamic Water-Control and Irrigation Systems on the Deh Luran Plain, Iran, The Origin and Spread of Qanats in the Old World, The Origins of the Aflaj of Oman, Notes on Traditional Hydraulics and Agriculture in Oman, Hydraulic Technology in Al-Andalus. Index. Like its twin volume, Manufacturing and Labour, this one also examines the economic basis of the early Islamic world, looking at the organization of extractive and agricultural operations, manufacturing processes and labour relations. Mining, stock raising, agriculture and irrigation are the themes of this volume. The work is based on both literary sources and archaeology, and is concerned with the extraction of raw materials and production based on natural resources and domesticated animals. Some classic articles are included because they defined the issues and deserve to be available due to their continuing significance. These are balanced by "state-of-the art" studies, and by others translating and commenting on important texts in areas where analytic studies have yet to be carried out. This body of work provides a sense of the intensity of exploitation of natural resources in early Islamic times, of how labour and energy-intensive mining, agriculture and irrigation were, and of the interrelationship of different sectors of the economy. - David Waines, Patterns of Everyday Life. (Series: The Formation of the Classical Islamic World, 10). Aldershot, Hampshire: Ashgate Variorum, 2002. Hardcover, 422 pp. ISBN: 0 86078 711 7 - ISBN-13 978-0-86078-711-2 Publication Date: 05/2002. Contents: General editor's preface; Introduction; Shelter: Pre-Islamic traditions of domestic architecture in Islamic Egypt, Alexandre Lézine; A mansion in Fustat: a 12th-century description of a domestic compound in the ancient capital of Egypt, S.D. Goitein; The houses of Siraf, Iran, David Whitehouse; The Andalusi house in Siyãsa: attempt at a typological classification, Julio Navarro Palazón; The palm-frond house of the Batinah, Paolo M. Costa; Type and variation: Berber collective dwellings of the Northwestern Sahara, William J.R. Curtis; New caves for old: Bedouin architecture in Petra, Piotr Bienkowski; Architectural provision against heat in the Orient, Alexander Badawy; Textiles and clothing: The Tirãz system, R.B. Serjeant; Notes on costume from Arabic sources, Reuben Levy; New data on Islamic textiles from the Geniza, Yedida K. Stillman; Abbasid silks of the 9th century, Ernst Kühnel; Covered with flowers: medieval floor coverings excavated at Fustat, Louise W. Mackie; A medieval face-veil from Egypt, Gillian Eastwood; Food and drink: The most ancient recipes of all, J. Bottéro; The Arab agricultural revolution and its diffusion, 700-1100, A. Watson; Dietetic aspects of food in al-Andalus, Expiración García Sánchez; Pots and fire: the cooking processes in the cookbooks of al-Andalus and the Maghreb, Manuela Marín; Muzzawar: counterfeit fare for fasts and fevers, David Waines and Manuela Marín; Al-Rãzî on when and how to eat fruit, Rosa Kuhne Brabant; Abu Zayd al-Balkhi on the nature of forbidden drink: a medieval Islamic controversy, David Waines, Index. This volume by D. Waines (University of Lancaster, UK) deals with fundamental aspects of the material life of Islamic societies in the formative period. Three broad sections comprise the scope of the book: the first on housing, the second on textiles and clothing, and the final one on food and drink. In each section, studies based upon both archaeological and literary sources are included. The aim of the collection is to highlight features of continuity between the pre-Islamic cultures of the Middle East and those other aspects which were introduced as a consequence of the development and spread of the Islamic religious tradition. The editor's introduction to the volume reviews the developments and current trends in each area, and notes the problems in constructing knowledge of the material civilisation of the early Islamic period. - Fazlun Khalid and Joanne O'Brien, eds., Islam and Ecology. London and New York: Cassell, 1992. Paperback: 128 pp. ISBN-10: 0304323772 - ISBN-13: 978-0304323777. In a series sponsored by the World Wide Fund for Nature, Muslim writers present essays on the relationship between Islamic principles and ecology, science, trade and the use of natural resources. - Rosamond Mack, Bazaar to Piazza: Islamic Trade and Italian Art, 1300-1600. Berkely: University of California Press; 2002. Hardcover: 344 pages, ISBN-10: 0520221311 - ISBN-13: 978-0520221314. Contents: Preface and Acknowledgments, Introduction, Trade, Travel, and Diplomacy, Patterned Silks, Oriental Script in Italian Paintings, Carpets, Ceramics, Glass, Bookbinding and Lacquer, Inlaid Brass, The Pictorial Arts, From Bazaar to Piazza and Back, Notes, Glossary, Bibliography. Rosamond Mack, an Italian Renaissance art historian, shows how "oriental" (primarily Islamic) influences, transmitted through travel, trade and diplomacy, shaped the Italian imagination in fine and decorative arts. In chapters on patterned silks, Arabic script in Italian paintings, carpets, ceramics, glass, bookbinding and lacquer, inlaid brass and pictorial arts, she points out extensive connections between objects from the Muslim world and Italian ones, and proposes that, in order to fully appreciate the familiar Italian works, it helps to understand the sources of the visual imagination that produced them. In the beginning of the period Mack covers, China and the Middle East produced virtually all the value-added silks, carpets, ceramics, glass, leatherwork and brass that reached Italy. Gradually, Italy developed its own centres of high-quality production, and trade in manufactured luxury goods became multidirectional—the Ottomans imported glassblowers from Murano to establish their glassworks—but mutual cultural and religious ignorance remained. The reproductions in the book are of high quality and the sources range from well-known galleries to smaller specialized collections. The extensive bibliography includes English, Italian, French and German source material, but occasionally proves frustrating when a footnote draws a parallel to a work that is not illustrated in the book. The Mediterranean trade in luxury goods from the East made a strong and lasting impression on Italian taste and production during the early Renaissance. This opulently illustrated book describes and illustrates the fascinating ways that imported art objects inspired improvements and new variety in Italian decorative arts. From Italian textiles featuring Islamic and Asian motifs to ceramics and glassware that reflected Syrian techniques and ornamental concepts, this book gives an extraordinary view of the influence of imported Oriental goods in Italy over three crucial centuries of artistic development, from 1300-1600. With this important book, Rosamond Mack has joined a growing number of scholars who are currently challenging the well-known model of the Renaissance as an exclusive and singular moment of genius and invention centred in Italy. Now, Mack contributes to this shift by focusing on the decorative arts connected with the international luxury trade, in particular, commerce between the Islamic world and Italy. This is a splendid, lavishly illustrated volume with a strong visual emphasis that serves as a corrective for the neglected treatment of Italian decorative arts and argues for the centrality of Islamic imports in the development of local Italian production. Rosamond Mack traces Italy's emerging decorative arts tradition as she discusses textiles, ceramics, glass, bookbinding, and metalwork; she also considers how Italian painting reflects trans-Mediterranean trade and travel. Painters represented carpets and ceramics from the East in their works, as well as textiles with bands of writing replicating or suggesting Arabic script, negotiating cultural differences in their borrowings. These paintings show how Islamic motifs were absorbed into Christian contexts. Beginning in the 1300s and 1400s, the works of Italian craftsmen inspired by luxury goods from Islamic and Asian countries gradually began to compete with those brought to Europe in huge quantities on Italian merchant ships. Yet even after their own versions surpassed the quality of some of the imported goods, Italians continued to collect, imitate, and adapt objects from the Ottoman Empire and China. As Mack discusses these important influences, she provides useful summaries of the history of Renaissance decorative arts and presents a balanced and carefully researched view of the controversial topic of East-West artistic exchange. This uniquely comprehensive study offers an intriguing look at the effects of exchange in Renaissance material culture, shedding new light on the development of the Italian Renaissance as a whole. No other source provides so rich and inclusive a synthesis of the period's decorative arts. 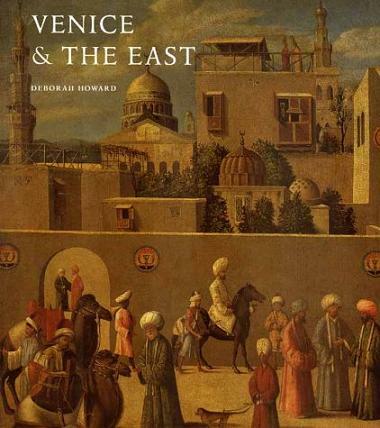 - Deborah Howard, Venice and the East: The Impact of the Islamic World on Venetian Architecture, 1100-1500. New Haven, CT: Yale University Press, 2000, 272 pp. 150b/w + 130 color illus. ISBN 08504-4. ISBN: 0300085044. Figure 6: Front cover of the book Venice and the East: The Impact of the Islamic World on Venetian Architecture, 1100-1500. A stunningly illustrated survey of the Islamic roots of Venetian architecture. Deborah Howard (reader in architectural history at the University of Cambridge and fellow of St. John's College, Cambridge, UK) focuses on links with Egypt, Syria, and Palestine, Persia and the Silk Route, all familiar to Venetian traders, looking, in particular, at two of the city's iconic buildings: San Marco and the Palazzo Ducale. Precious spices and textiles, imported from distant trading posts in the eastern Mediterranean, stocked Venetian markets in the Middle Ages; but Venice's merchants imported more than material goods from the East-they acquired also a wealth of visual ideas and information from Muslim culture. This lively and richly illustrated book investigates the influence of oriental trade and travel on medieval Venice and its architecture. Architectural historian Deborah Howard examines the experiences of Venetian merchants overseas, focusing on links with Egypt, Syria, and Palestine, as well as with Persia and the Silk Route. She argues that many Venetians gained insight into Islamic culture through personal contacts with their Muslim trading partners. Based on wide-ranging multidisciplinary research, this book examines the mechanisms that governed the exchange of visual culture across ideological boundaries before the age of printing. Howard explores a range of building types that reflect the impact of Islamic imagery, paying special attention to two icon buildings, San Marco and the Palazzo Ducale. She considers the complexities of importing Muslim ideas to an unambiguously Christian city, itself the point of embarkation for pilgrims to the Holy Land. - Stefano Carboni, Venice and the Islamic World, 828-1797. Yale University Press, 2007. Hardcover: 375 pages. ISBN-10: 0300124309 - ISBN-13: 978-0300124309. 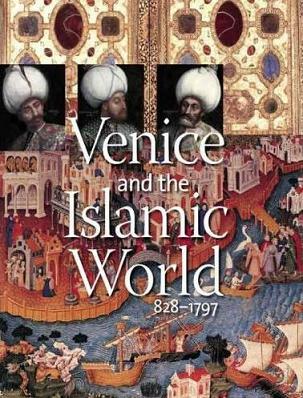 Figure 7: Front cover of the book Venice and the Islamic World, 828-1797. From 828, when Venetian merchants carried home from Alexandria the stolen relics of St. Mark, to the fall of the Venetian Republic to Napoleon in 1797, the visual arts in Venice were dramatically influenced by Islamic art. Because of its strategic location on the Mediterranean, Venice had long imported objects from the Near East through channels of trade, and it flourished during this particular period as a commercial, political, and diplomatic hub. This monumental book examines Venice's rise as the "bazaar of Europe" and how and why the city absorbed artistic and cultural ideas that originated in the Islamic world. Venice and the Islamic World features a wide range of fascinating images and objects, including paintings and drawings by familiar Venetian artists such as Bellini, Carpaccio, and Tiepolo; beautiful Persian and Ottoman miniatures; and inlaid metalwork, ceramics, lacquer ware, gilded and enamelled glass, textiles, and carpets made in the Serene Republic and the Mamluk, Ottoman, and Safavid Empires. Together these exquisite objects illuminate the ways Islamic art inspired Venetian artists, while also highlighting Venice's own views toward its neighbouring region. Fascinating essays by distinguished scholars and conservators offer new historical and technical insights into this unique artistic relationship between East and West. - Dionisius A. Agnius and Richard Hitchcock, eds., Arab Influence in Medieval Europe. London: Ithaca Press, 1996. Seven essays from the 1990 Oxford confer¬ence of the same name chart the gradual infusion of Muslim knowledge of the arts, commerce and science into Christian Europe. A particularly interesting chapter evalu¬ates possible Muslim literary influences on Dante's Divine Comedy, which demonstrates the often-underestimated degree to which ideas crossed cultural boundaries during that era. Other essays discuss trade, mechanics, geography, divination and song. - Shirley Guthrie, Arab Social Life in the Middle Ages: An Illustrated Study. London: Saqi Books, 1995. 229 p., 16 pp. of plates and ill., some in colour. ISBN: 0863560431. Revised version of the author's thesis (doctoral) –University of Edinburgh, 1991. The author, a specialist in Islamic painting, uses the celebrated illustrations of Al-Hariri's 11th-12th century Maqamat—the best of the few visual documents of the era—as windows on the daily life they depict through their Falstaffian protagonist, Abu Zayd. - Shirley Guthrie, Arab Women in the Middle Ages: Private Lives and Public Roles. London: Saqi Books, 2001; format: Hardback Pub. ISBN: 0863567738 ISBN 13: 9780863567735. Regardless of their individual social rank or position, regardless whether Muslim, Christian or Jew, Arab women played important roles in the functioning of society in the Middle Ages. This book draws on Islamic traditions, legal documents, historical sources and popular chronicles to describe their daily lives and their private and public roles. In the private sphere, Guthrie explores marriage, childbirth, child care, culinary traditions, body care and beauty rituals; in the public arena, women's roles as benefactors, scholars, poets, calligraphers, teachers and entertainers receive attention. Shirley Guthrie attempts to address a subject that is of great interest to scholars, teachers and students. Unfortunately, the general state of scholarship in this area is still weak, and this hampered the author's ambition to account precisely for the everyday life of Arab women in the middle ages. Although Guthrie did rely on some studies of social life in the middle ages, she prefers to collect nuggets of information from primary sources. As a result, the bibliography of this book is a useful compilation of works in Arabic and Persian that have been translated into English. These may provide a source for documents that can be used for teaching purposes. - Norman Daniel, The Arabs and Mediaeval Europe. London: Longman, 1975, 0-582-78045-4. 2nd ed. 1979. A classic exploration of the links between Arabs and the Europeans in the Middle Ages. Daniel looks at the impression made by the Arabs, the reactions of the Europeans and some of the ideas shared by both peoples. - Richard W. Bulliet, The Case for Islamo-Christian Civilization. New York: Columbia University Press, 2004. ISBN: 0-231-12796-0. Middle Eastern scholar Richard Bulliet presents a new concept: "Islamo-Christian civilization," which challenges common stereotypes about the irreconcilability of Muslim-led and Christian-led societies. The author argues that Islamic and Christian cultures were both born of the same civilization and are thus "sibling societies." Evaluating the shared historical experiences of both religions and their interactions over the centuries, Bulliet lays out his case in the first of four essays. For more than 1400 years, Islam and Christianity were linked by trade, the transfer of ideas and their Abrahamic heritage. But then what explains the current state of conflict, particularly between Muslim countries and the West? The author turns to this question in his second essay, which argues that readers should be asking, "What went on?" rather than "What went wrong?" Beginning in the 16th century, the sibling cultures took different paths, particularly regarding the separation of religion and state. By the second half of the 20th century, the role of Islam grew as secular states in the Middle East failed to deliver democracy and became more authoritarian. Islam, Bulliet argues, served as a counterbalance to authoritarianism and is thus not a barrier to either democracy or economic growth. The third and fourth essays continue to question beliefs that have shaped western policies and interventions in the Middle East since the Cold War. Bulliet challenges the rationale behind attempts to impose particular values on the Middle East. According to him, it is these policies—not an inherent incompatibility of values—that are the basis of current conflicts. The book concludes by suggesting an alternative path in which the West respects, rather than attempts to change, the values of Islamic societies, and thus builds on the deep roots of the shared Islamo-Christian civilization. Franco Cardini, Europe and Islam: The Making of Europe. Translated into English by Caroline Beamish. 1999, Blackwell Publishers, 0-631-19732-X - 0-631-22637-0. The author, a professor of medieval history at the University of Florence, traces the development of contact between Europe and Islam, examining the political, social, cultural and economic forces that have formed and coloured Europe's attitude to Islam. Cardini takes an even-handed approach to the retelling of the interwoven histories of East and West and dispels the "cross versus crescent" dichotomy that has often plagued both history books and societies themselves. The book concludes with a consideration of the growing roles played by various Islamic communities in a Europe struggling to define itself. Part of the Making of Europe series, Europe and Islam is well suited for both the specialist and the general reader.